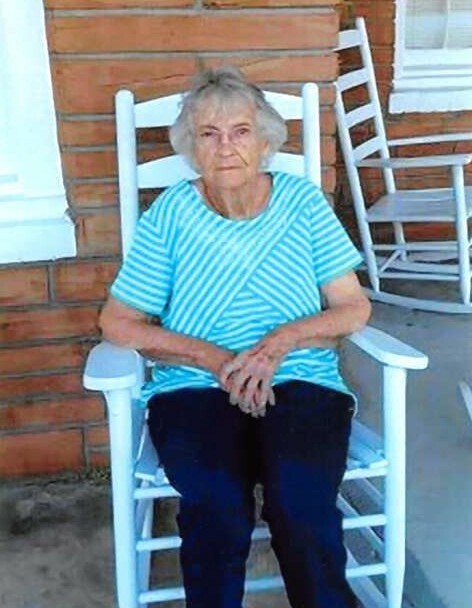 Sarah Genell Tinney Bryant, 87, of Sylacauga, Alabama returned to her heavenly home on November 23, 2018. She was born September 9, 1931. She was a devoted wife of 67 years, a beloved mother and nanny to many. To know her was to love her. She was a faithful member of Oldfield Baptist Church. She was well known for her homemade biscuits. She is preceded by her parents Doss and Annie Tinney; her son, Johnny Bryant. Those left to cherish her memory are her husband, Sargent Bryant; children, Jimmy Bryant of Sylacauga, AL, Janet (David) Crawford of Gardendale, AL, Donald Bryant of Sylacauga, AL, Debra (Harold) Smith of McCalla, AL, Jerry (Diane) Bryant of Calera, AL; eight grandchildren and 14 great grandchildren. She will be greatly missed and leaves behind a legacy of compassion that her family will cherish forever. Funeral services will be held at Oldfield Baptist Church on Tuesday, November 27th, at 11:00am with Bro. Tony McGrady officiating, she will also lie in state one hour prior to the service. The visitation will be Monday, November 26, at Radney Smith Funeral Home from 5:00pm to 8:00pm. Pallbearers will be: Chris Bryant, Jeremy Smith, Jonathan Smith Adam Crawford, Gage Hubbard, and Kyle Bryant.